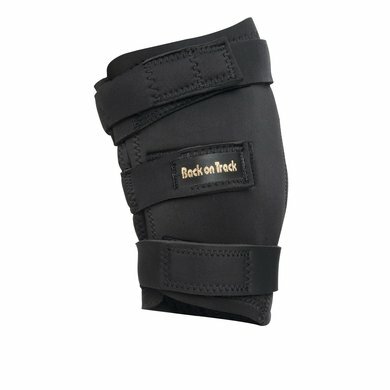 The hock joint protector Left without hole has 3 Velcro closures. 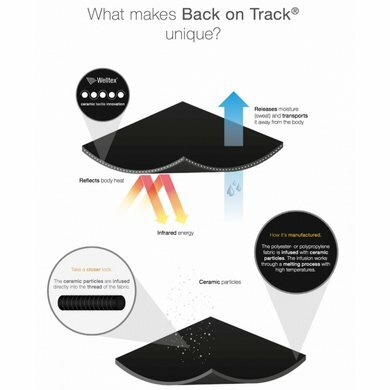 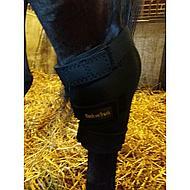 The inside is covered with cotton (50%) and polyester (50%), while the outside of the protector consists of neoprene. 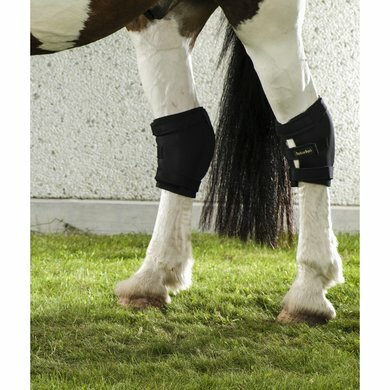 To prevent possible sagging, we recommend strapping the leg with a stable bandage or using the Back on Track Royal Stable Protector. 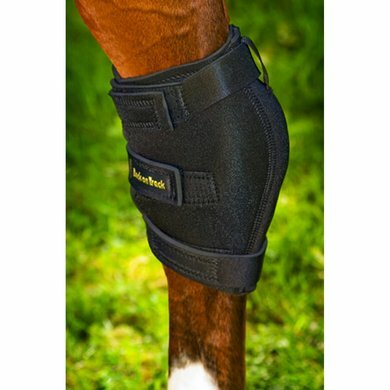 This reduces the risk of the heel protector sinking or being tightened too tightly to hold it in place.